Melinda C. Cox is a Partner with PIB Law. 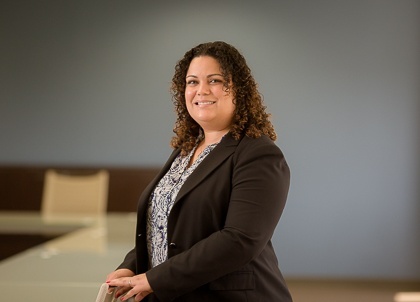 She has extensive litigation experience in civil matters, with a particular emphasis on issues in real estate redevelopment, condemnation and land use, in both regulatory compliance and litigation. Melinda's current practice focuses on the representation of financial institutions in the mortgage banking industry in litigation, compliance and regulatory matters, including foreclosures and bankruptcy proceedings, in both state and federal proceedings. Prior to joining the Firm, Melinda served as law clerk to the Honorable Michael A. Shipp, U.S.M.J., in the United States District Court for the District of New Jersey, where she assisted with preparing for and conducting preliminary proceedings in civil and criminal cases. She researched and drafted proposed opinions and memoranda, as well as comprehensive reports and recommendations for dispositive motions, in a variety of civil matters, including consumer fraud and debt, securities regulation, fair debt collection, class actions, and labor and employment matters. Prior to her clerkship, Melinda was an Associate at the law firm of Wilentz, Goldman & Spitzer, P.A., on the firm's Redevelopment Team, Redevelopment Strategic Business Unit Team and the Commercial Real Estate Team, where she drafted redevelopment and finance agreements, assisted with various transactional and regulatory matters, and litigated cases involving redevelopment, land use, condemnation, real estate, and environmental issues. “Yes, We Can!” – Minority Women Attorneys & Politics, 14:3 The Woman Advocate, ABA – Section of Litigation 1 (Spring 2009) (co-authored with Julia Lopez and Erica Rodriguez). Gallenthin: Reaffirming NJ’s Progressive Views on Redevelopment Law, N.J. Lawyer (Jan. 28, 2008) (co-authored with Anne S. Babineau, Esq.). Rutgers School of Law - Newark, J.D.